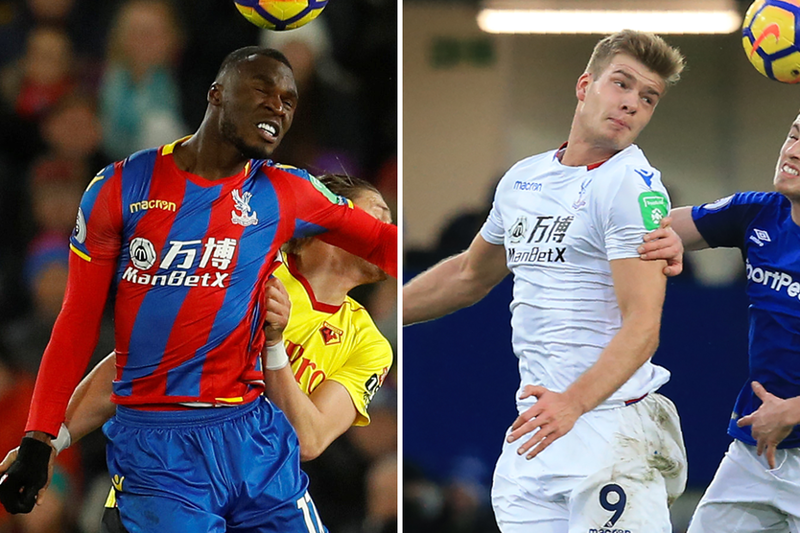 When Roy Hodgson last picked a side to take on Tottenham Hotspur in November, he chose the mobile front two of Wilfried Zaha and Andros Townsend. In this weekend’s return fixture the Crystal Palace manager is likely to go with the opposite approach. He is expected to select two tall target men, Christian Benteke and Alexander Sorloth, as the focal point of his attack. Signed from FC Midtjylland in January, Sorloth caught the eye on his debut at Goodison Park in Matchweek 27. Starting to the left of Benteke, the Norway international was heavily involved throughout the 3-1 defeat by Everton. The 6ft 3in forward made 61 sprints, the most of any Palace player, and threw himself into an incredible 35 duels. His next closest team-mate had 17. Interestingly, Palace aimed more high balls towards Sorloth than they did to Benteke, by 13 to 11. The newcomer also impressed in other aspects. Blessed with an excellent turn of pace, he recorded the second-fastest top speed of any Eagles player, and whipped four crosses into the box. His four chances created were the highest of anyone on the pitch and he came close to scoring himself when Jordan Pickford saved his header at full stretch in the second half. While Sorloth’s height lends itself to aerial prowess, there is far more to him than being solely a target for long balls and crosses. During a short but successful spell in Danish football, where he scored nine goals in 19 appearances, the 22-year-old showcased a wide range of finishes. A fine improviser inside the box, and technically good enough to hit first-time efforts on the run with either foot, he has a solid all-round game that can trouble Spurs.